With a team of highly qualified physiotherapists and a massage therapist Manual Concepts offers excellent services to effectively treat many conditions. The clinic provides first-class treatment facilities to treat complex conditions by using a combination of manual therapy, education, exercise prescription, dry needling (previously called IMS) and acupuncture. If you have recently experienced an injury, sport injury, are experiencing limited joint mobility or if you have been living with pain or discomfort for months or even years, physiotherapy may be what you need. Manipulative Therapy is a specialised area of physiotherapy / physical therapy for the management of musculoskeletal conditions, based on clinical reasoning, using highly specific treatment approaches including manual techniques (hands on) and therapeutic exercises. Research has proven that manipulative therapy can help you return faster to pain-free living. Therapeutic manipulation involves specialized hands-on treatments applied by highly qualified physiotherapists. Techniques such as thrust manipulation have demonstrable benefits for reducing muscle pain and tension, and for restoring normal joint movement. Who can do manipulative therapy? 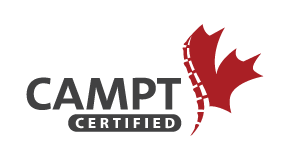 CAMPT-Certified physiotherapists are Fellows of the Canadian Academy of Manipulative Physiotherapy (FCAMPT) and have advanced training and clinical expertise in manual and manipulative therapy. They are required to have completed extensive post-graduate education in the area of orthopaedics and have attained internationally-recognized qualifications in hands-on manipulative therapy. CAMPT-Certified physiotherapists are qualified to provide safe and effective treatments for pain and movement disorders of the spine and extremities. Why should you be treated at Manual Concepts Physiotherapy? While Manual Concept’s facility is staffed by therapists who are recognized internationally as among the most experienced and highly qualified in Canada. In addition to time spent treating patients, our primary therapists spend time each week teaching advanced therapies and treatment techniques to physiotherapists from other clinics. Modern massage therapy, far more than a stroking of the skin, is often referred to as bodywork or somatic therapy, and refers to the application of various techniques to the muscular structure and soft tissues of the body that include applying fixed or movable pressure, holding, vibration, rocking, friction, kneading and compression. While most techniques are applied using primarily the hands, massage therapists do use other areas of the body, such as the forearms, elbows or feet. All of the techniques are used for the benefit of the musculoskeletal, circulatory-lymphatic, nervous, and other systems of the body. In fact, massage therapy positively influences the overall health and well-being of the client. Massage does much more than create a pleasant sensation on the skin, it also works on soft tissues like muscles, tendons, and ligaments to improve muscle tone. Although it largely affects those muscles just under the skin, the benefits of massage therapy may also reach the deeper layers of muscle and possibly even the organs themselves.Massage also stimulates blood circulation and assists the lymphatic system (which runs parallel to the circulatory system), improving the elimination of waste throughout the body. The benefits of massage therapy include increased range of motion and flexibility, stress reduction and improved circulation all of which can also help achieve an overall feeling of well-being. Intra Muscular Stimulation or IMS is a scientifically based and proven technique for reversing the shortened muscles that cause musculo-skeletal pain. This pain is called neuropathic pain, and is difficult for doctors to diagnose and treat as it usually presents with no sign of tissue damage or inflammation. IMS uses instruments adapted from traditional acupuncture to stimulate shortened muscles which then results in muscle relaxation and relief from chronic pain. If you suffer from chronic pain and have tried medications, massage, traditional physiotherapy, osteopathy, or chiropractic and still do not find lasting relief, your pain could be caused by muscle shortening. All of our Physiotherapists are trained in an Integrated Dry Needling approach. They are able to apply the dry needling technique in combination with their Manual Therapy skills and other treatment options. Naturopathic Doctors are expertly trained to blend modern and scientific knowledge with traditional and natural forms of medicine. Looking at disease as a process, rather than an entity, Naturopathic Doctors use a functional medicine approach, identifying symptoms as warning signs of stress or imbalance in the body. Through the use of naturally occurring substances and minimally invasive treatment modalities, Naturopathic Medicine supports the body’s innate ability to heal. Naturopathic Doctors believe in treating the whole person. To gain an understanding of a client’s physical, emotional and spiritual health, a comprehensive assessment is completed, focusing on current health status, family history, lifestyle choices, and environmental influences. A physical exam is conducted and lab tests may be recommended to aid in diagnosis and development of the treatment plan. Naturopathic Medicine draws from a wide range of treatment modalities so that therapy can be individually tailored to each patient’s unique requirements. These can include a combination of lifestyle and nutrition counselling, botanical medicine, homeopathic medicine, acupuncture and traditional asian medicine. Naturopathic treatments are evidence based and validated by clinical experience and research. Naturopathic Doctors are able to work in collaboration with, and complement, treatment you are receiving from your medical doctors and other health care providers to ensure you have the best possible care.